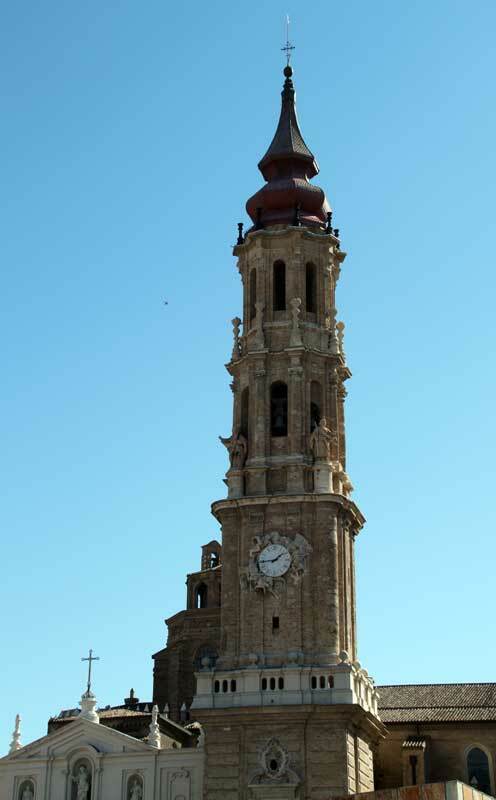 This church, built on the site of a Roman forum (which contained a temple) and later a Moorish mosque, was begun in the 12th century in the Romanesque style, but since then it has undergone many changes and thuys illustrates a variety of architectural styles. The apse displays the oldest elements, both Romanesque and Gothic. 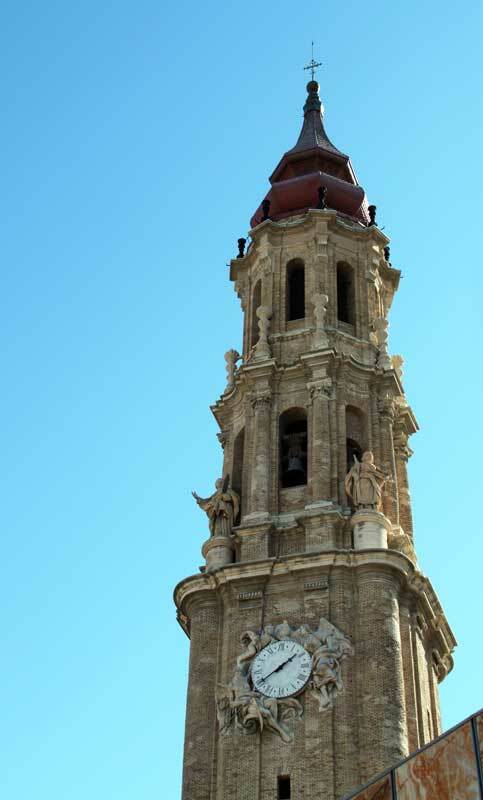 There is a 16th century dome with Mudejar influences. 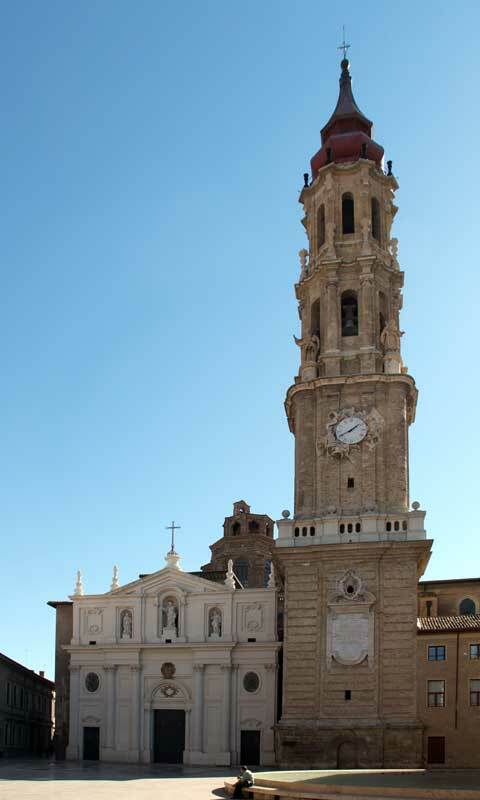 In the 17th century, the old Mudéjar tower was replaced by new tower, designed by Juan Bautista Contini in the Baroque style, and finished in 1704 with the placement of the spire. The front facade was redesigned in the 18th century in a neoclassic style by Julian Yarza.